The entrepreneurs from across the diverse sectors analysed the current industry trends, charting the way forward for the next generation. Entrepreneurship summits can help a budding entrepreneur wear a new mantle. The Elets News Network tracks the traits of an entrepreneur. Empowering the industries and segments through diffusion of the critical business knowledge is important for the skilled entrepreneurs to take the industry to a level, not seen before. JP Malhotra, (MD, Bhartiya Valves) thinks aloud that a summit serves an entrepreneur an opportunity to learn the tricks of trade. The entrepreneurs from across the diverse sectors analysed the current industry trends, charting the way forward for the next generation. The summits can help a budding entrepreneur wear a new mantle. Entrepreneurship is an interdisciplinary program serving the students many opportunities to learn the ropes. By offering several means to put into practice the theory and practical knowledge, the subject serves to complement the student’s major area of study. JP Malhotra himself is an example. He left his job after 20 years and moved on to work as an entrepreneur. Though he was taken aback during the initial stage of his business, yet he moved on with his experience and knowledge while attending the seminars on entrepreneurship which had helped him grow his company. Likewise, he wishes that a would-be entrepreneur should know the subject well enough at university level. Breaking out of the 9-5 environment, today’s youth wants to be a job creator instead of a job seeker. In order to graduate to a successful entrepreneur, strong business background can help secure financial support. However, the qualifications varied from business to business, the subjects of study being different. A successful entrepreneur needs several skills. One must have a tolerance threshold for taking the risks and showing willingness to leave the security of a routine job. Ability to multi-tasking is a key, especially in the beginning of an enterprise, where an entrepreneur may need to function as a book keeper, customer service agent and marketing expert. While studying entrepreneurship, one should focus on how an entrepreneur thinks and decides. One can also learn how the enterprises compete for customers in the national and international markets, how they form strategies, how they organise their activities and operations to grow into successful and profitable businesses. Innovation and entrepreneurship strongly complement the students completing their bachelor courses. 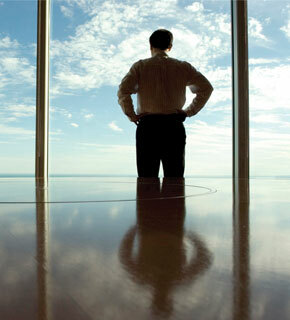 Master of commerce and MBA are also the areas of study that helps prepare a good entrepreneur. Theoretical education includes MBA, Communication, Accounting, Business law, Marketing, Computer Science and IT, Economics, Psychology, Entrepreneurship where as practical education includes Competitions, Hands-on experience, Internships, Research and projects. To start your company, it is essential to know the do’s and don’ts. There are many entrepreneurs who get involved in industries about which they do not know anything. There are several advantages of starting a business in an industry with which you are already familiar: you will have a better understanding of your customers’ needs, you will be more familiar with the competitive landscape and you will be able to speak more intelligently about your vision to employees, customers, investors, and other key stakeholders. For the start-ups, there is a need to know lot more things while running the business but that only comes through the experience and the practical knowledge. Do not hesitate to ask for help when in doubt or trouble. Whether you seek help internally or externally, people will respect the fact that you are aware of the limits of your knowledge and are actively seeking to enhance your understanding of a problem. Entrepreneurship can be tiresome with full of setbacks and disappointments. The best defence against discouragement is to have a strong sense of purpose. Make sure that your purpose of starting the business is clear to yourself and that they provide the meaning and motivation you need to get your business off the ground. The human beings are all equally prone to mistakes, especially the optimist entrepreneurs who get through the hard times. However, ignoring the mistake and allowing it to fester can cost the company dear, so one should have the courage to admit when you are wrong and when it is time to change course. Do not expect to achieve success overnight. Entrepreneurship is a marathon. Even if you have the vision, plan, team and capital in place, the challenges will spring from the most unexpected quarters. Whichever way one goes to make the business a success, the key is to stay focussed on the long term vision and do not waver from your determination. While you may have a very powerful idea to take your business forward, the chances are that somebody may have tried it earlier and failed terribly. But this should not deter your spirit. Instead of dismissing these companies, you should strive to learn everything about them and try to find out the causes of failure. This will help the new entrants not to commit the same mistakes. Do not assume that money will solve the problems of business. A perfect strategy with a clear vision is what is required first to push the business and reach goals. Of course, capital is important for any business but it needs to be used in right way. The best use of the investment funds is to adopt a model that has been proven to work. From the investors’ point of view, it is all about getting as big of a return on an investment and as quickly as possible. Building a lasting company requires calibrated approach, so it is not necessary to follow the investors’ approach of spending more on the portfolio of the company, so that the investors can hustle along to a quick and profitable exit. If you are through for a long haul so beware of moneymen and their unquenchable thirst for the shortterm gains. It is your company that grows on your own terms.